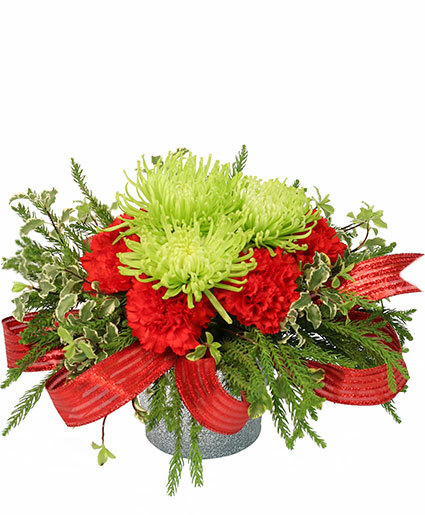 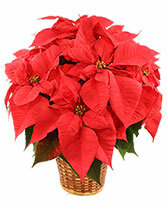 Silver Glitter Bucket, Assorted Christmas Greens, Variegated Mini Pittosporum, Red Carnations, Green Fuji Mums. 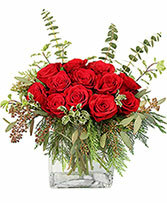 Rectangular Glass, Cedar, Mini Pittosporum, Seeded Eucalyptus, Baby Eucalyptus, Red Roses. 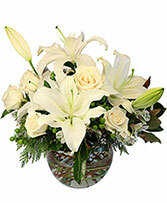 Bubble Bowl, Curly Willow, Assorted Christmas Greens, Magnolia, White Oriental Lilies, White Alstroemeria, Green Hypericum, White Roses.